Here it is. The property that everyone is looking to own. We are selling 0.63 ACRES in TOWN!!!! 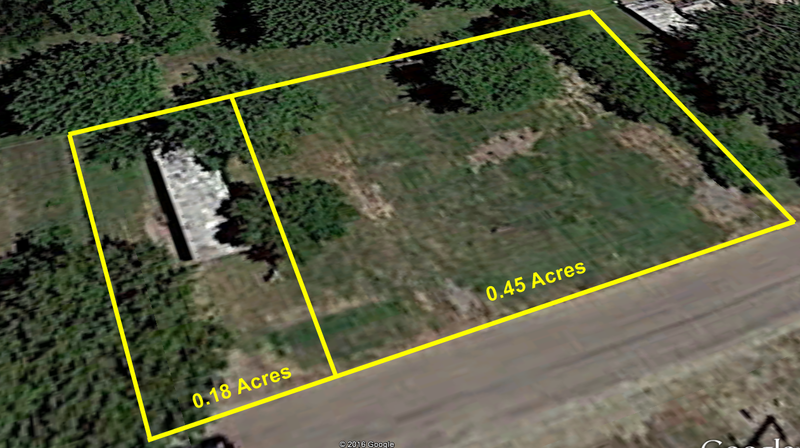 Located in San Jose, IL we are selling these vacant lots that have been mowed and kept clean. You don't find to many properties of this size in town for this price. Would be a great location for a workshop or even a new home. If you like to garden this would be the place to do it with a nice and flat location. If you were looking for an investment property this is set up for mobile homes. Please take a look at the pictures and don't let this one slip through your fingers. We can do a package deal if you buy both of them for ONLY $7,995!!!!!!!!!!!!!!!! Please don't hesitate to call or email with any other questions. Unlike many sellers of real estate, we are willing to work with buyers to find a financing solution that is affordable and meets your needs. You can purchase this property one of two ways. The first is with a cash offer, either with cash from savings or from a bank loan. The second is to get financing from us in the form of a contract-for-deed, which is a form of seller financing that helps buyers avoid the difficult and costly process of going through a bank to obtain a mortgage loan. The minimum requirements for this type of arrangement is: 1) a 5% downpayment; 2) monthly payments of at least $250; and 3) interest of 10.0% per year on the balance of the loan. Paying more per month would reduce the length of the financing and there are no penalties for paying it down early. Once the last payment has been made, the deed will be transferred to the buyer.